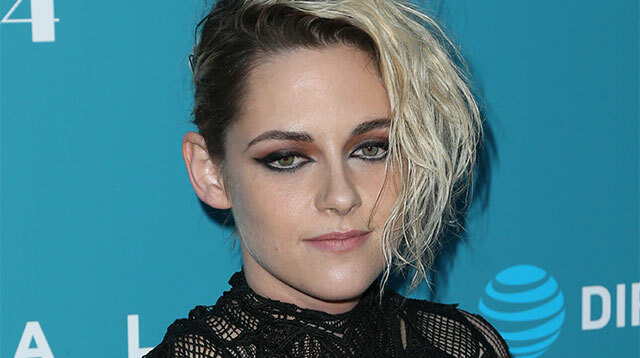 Kristen Stewart has finally confirmed her relationship with girlfriend Alicia Cargile because she doesn't want it to seem like she's ashamed of it. The Twilight actress has been fiercely private about her personal life and has dodged labeling her sexuality since she was spotted with rumored girlfriend and former personal assistant Alicia last year. It appeared they had split when Kristen was seen kissing French singer/actress Soko in Paris, France in March but it seemed that romance was over when Alicia joined Kristen on the red carpet at the Cannes Film Festival in May. Kristen, 26, has now publicly confirmed she is dating Alicia and opened up about the relationship for the first time to Britain's Elle magazine. The actress, who previously dated her Twilight co-star Robert Pattinson, didn't like to publicly talk about her relationships in the past because she felt it trivialized her personal life, but now feels compelled to talk about her girlfriend because she doesn't want people to think she's ashamed of being with a woman. “We were turned into these characters and placed into this ridiculous comic book, and I was like, ‘That’s mine. You’re making my relationship something that it’s not,'" she says of her relationships with men. During the candid interview Kristen, who landed her first role aged nine, credits her intense work schedule with helping her overcome anxiety because it gives her sense of purpose which gives her a boost if she's having a bad day.